Interview with Honorary Consul of Finland in Costa Rica, Elías Soley G.
1. Economic outlook of Costa Rica today – and what are the prospects for the country? Growth is projected to remain solid, supported by strong exports and inflows of foreign direct investment. Domestic investment is set to rebound, driven by public infrastructure projects. Costa Rica´s development over the past decade has been remarkable. This performance is now increasingly broadening to additional activities and with them come new business investment opportunities in areas such as Research and Development. 2. Which kinds of business opportunities are there for Finnish companies in Costa Rica? Costa Rica has become the preferred location in LATAM for industry leaders that seek quality, efficiency, experience, and growth opportunities in the most reliable and safe environment. Over 30 years of track record in high tech manufacturing, technology, life sciences and services attest to it. A robust Life Sciences ecosystem continues to develop with full support of the Government and our FDI Agency (CINDE). Complex services are provided to global markets around the globe in multiple languages. Innovation flows from our core. 3. Could you also explain us, which kind of investment opportunities there are for Finnish companies in Costa Rica? Costa Rica is a country where industries thrive! Our investment sectors are: Technology (software development and hardware manufacturing), Shared Services, advanced manufacturing, life sciences, light manufacturing, agribusiness and food processing. Let the numbers do the talking: +4300 products exported to +150 different countries in 5 continents and 2.5B potential people market. 4. If a Finnish company decides to invest in Costa Rica, what are the most important issues this enterprise must take into its consideration to succeed in the market? Have the right support / advice from the start. This means, having a local support team for establishment is always a good approach. As Honorary Consul of Finland in Costa Rica I can help to identify a list of reliable service providers that can help as a liaison to local partners or distributors, recruiting agencies, tax consultants, telecom providers, legal, constructions, customs agents, amongst others. 5. Which kind of assistance and which kinds of benefits are there in Costa Rica for Finnish companies who would like to invest in Costa Rica? Costa Rica has the most competitive tax incentives. The Free Trade Zone Regime is the mainstay of the country’s export and investment promotion strategy. It is a set of tax incentives and benefits granted by the Costa Rican government to companies making new investments in the country. 6. Could you please explain to us, how has Costa Rica benefited from free trade agreements? For over 20 years, the country has been working to build a solid platform for foreign trade, which has functioned as a competitiveness resource for the country. This platform includes, along with the World Trade Organization –WTO- and Central American Integration Agreements, thirteen Free Trade Agreements –FTAs-. These agreements cover close to the 80% of the country´s international trade. The countries with which Costa Rica have trade agreements, and therefore, preferential export tariffs, cover almost 67% of the world’s Gross Domestic Product –GDP- and 35% of the world population. Costa Rica is a small country with a big vision; concentrated, loaded with the unique, select value, which characterizes our people. 7. We know Costa Rica as a great holiday destination for Finns. Please, tell us more about the tourist attractions and holiday resorts in your country. Costa Rica is one of the most biodiverse countries in the world; it contains about 5% of the world´s species. The lush wild natural environment can be experienced all throughout the country and is easily accessible to the curious visitor. Costa Rica is a safe paradise. The country provides the perfect combination of relaxation, adventure, culture, fine cuisine and wildlife. 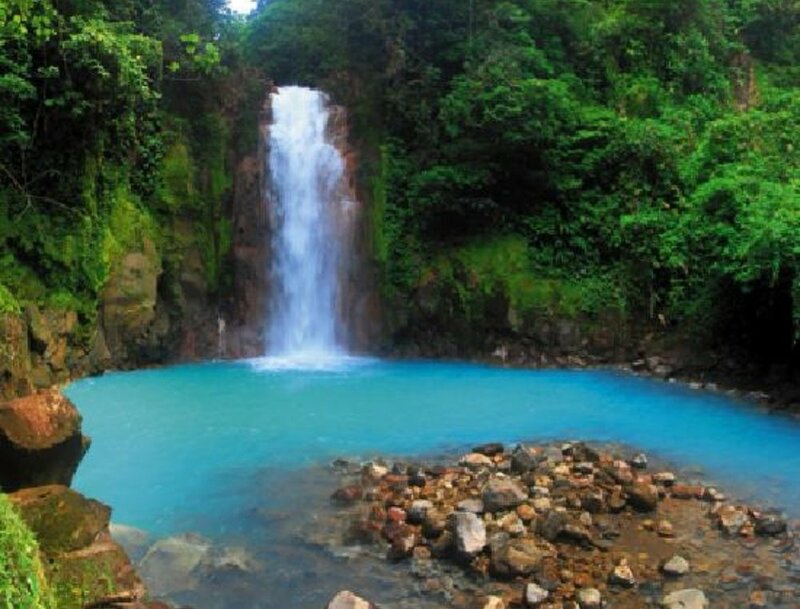 Visitors can find in Costa Rica an adventure paradise set in the most beautiful natural and safe environment. It is also the home of four World Heritage sites certified by UNESCO. Words do not honour all the natural beauty of the country, is an experience you must live! 8. How, as an Honorary Consul for Finland in Costa Rica, are you able to help companies in creating business networks? Could you please also tell something about yourself in few words? I am a corporate and technology lawyer with more than 30 years of uninterrupted experience assisting foreign direct investment in the country; I also hold important business leadership positions in Chambers of local entrepreneurs, one of them being the Vice Presidency of the business leadership organization / the “umbrella of the Costa Rican private sector” (UCCAEP). From either position (as an active professional and leader of the private sector)- , I will be able to contribute and strengthen the establishment of an orderly, safe and transparent management process of international cooperation capable of generating effective and efficient opportunities for the benefit of both countries, in congruence with the Foreign Policy and the National Development Plan. Comment by Ambassador of Finland concurrent in Costa Rica, Mr. Roy Eriksson. I welcome Mr. Elias Soley to the network of honorary Consuls in Mexico and Central America. I am the Ambassador of Finland in Mexico, concurrent in six Central American countries (Belize, Costa Rica, El Salvador, Guatemala, Honduras and Nicaragua). I am very grateful for the role of our Honorary Consuls in helping promote the commercial interests of Finland in their respective countries. Especially when the Embassy has been organizing business delegation visits to these countries, the help of Honorary Consuls has been invaluable – their local knowledge and networks have insured successful outcomes of these.